What is the Malem Ultimate Bedwetting Alarm? 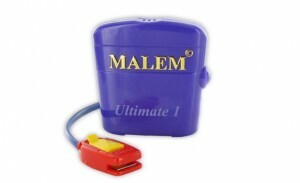 The Malem Ultimate Bedwetting Alarm takes the popular features of its standard version and adds vibration. One of the complaints with the standard version was that even a loud alarm failed to wake deep-sleeping children once they started to wet the bed. That meant parents would have to wake up when the bedwetting alarms for children started to sound. With the Malem Ultimate Bedwetting Alarm, bedwetters are hit with a warning on two fronts.As soon as moisture is detected, the Malem Ultimate Bedwetting Alarm will sound while simultaneously vibrating, greatly increasing the odds your child will wake and realize he or she is wetting the bed. The best place to clip on bedwetting alarms for children is right on the front of your child’s underwear. Be sure to use underwear that is close fitting. 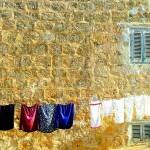 Boxer shorts or loose fitting pajamas may not detect moisture as quickly. The alarm box portion of the Ultimate Bedwetting alarm from Malem should be placed up on the shoulder to ensure your child will hear the alarm sound and feel the vibrations. The Malem Ultimate Bedwetting Alarm can also be set so it only sounds and does not vibrate, making it a customizable solution. 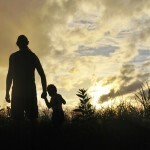 When looking for bedwetting alarms for children it helps to explore all the options available. There are several models varying in price from around $89 all the way up to $200. Whether you choose the Ultimate Bedwetting Alarm from Malem or a lower model will depend on your needs and how deep your child sleeps every night. Parents with deep-sleeping children will want to consider the Ultimate Bedwetting Alarm from Malem or another of the vibrating bedwetting alarms for children.